The pieces of furniture in the home are of the highest importance for creating one modern home design. But also, a colour used for completing the decor plays an important element in the design. 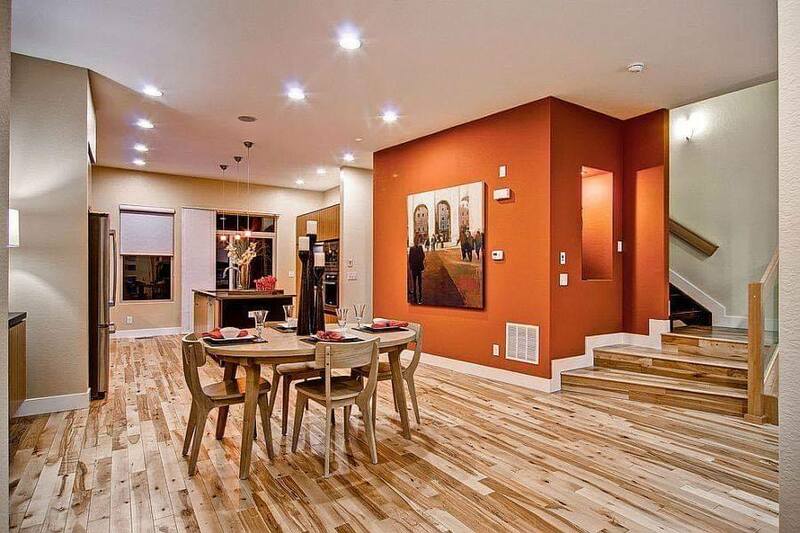 One of the best colours used for decorating the home place is an orange colour. 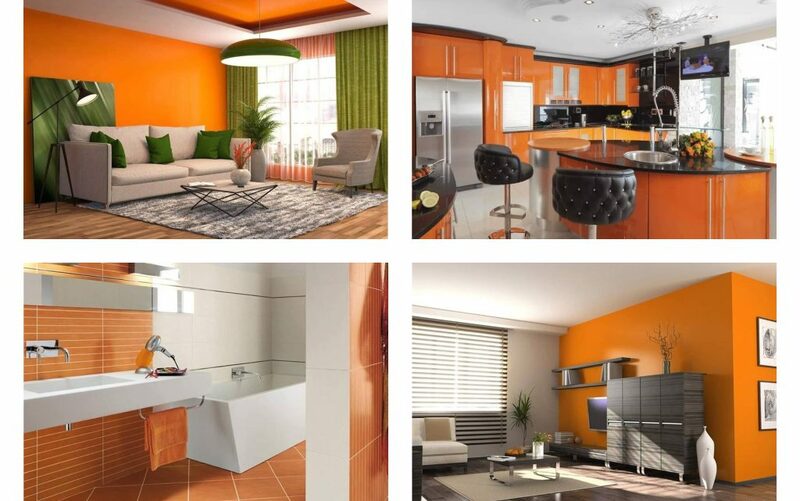 Orange colour can help you to create a vibrant space full of warmth, a place worth for spending the rest of your life. If you don’t think that orange will be the suitable colour for your house place, check our last post where you can see the use of the dark green in interiors which makes one home looking ADOrABLE! 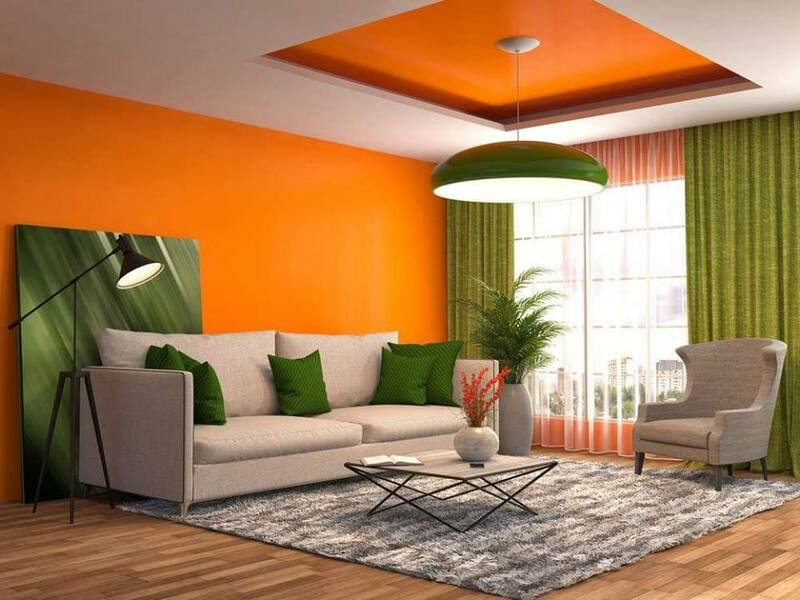 As you can see in our first photo we give you an isnpiration about how to make a combination of green and orange n the living room. This is the room where your guests are seating, so try to create one vibrant atmosphere, inspire yourself in the photo here. Now, in the first photo you had the chance to see how will look the seaing part of the living room. But, in the second photo you will see how will look the TV stand that is the other part of the room. 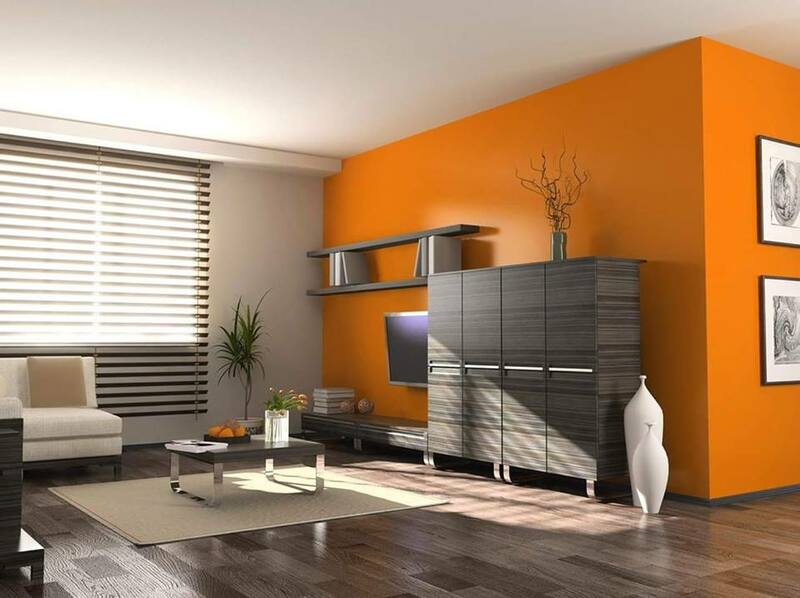 Let e tell you that you will see again orange walls which makes the room looking definitely beautiful. 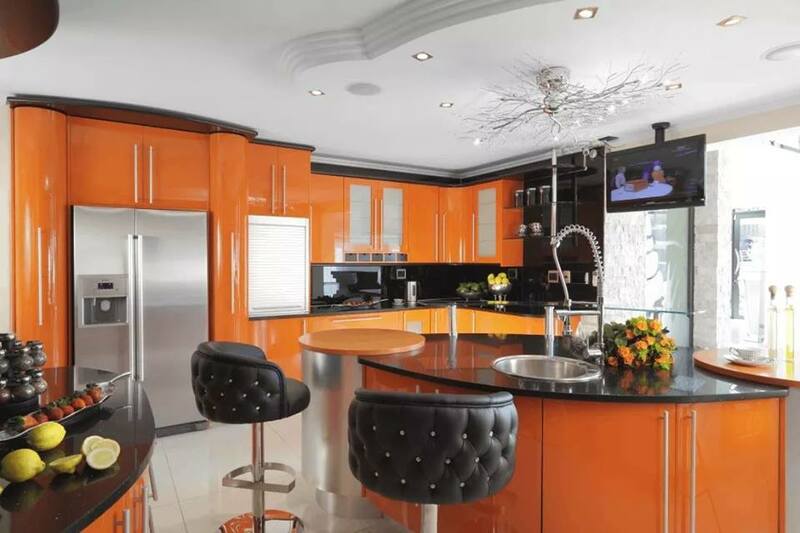 Don’t be sceptic about using the orange colour in your curved or any other shaped kitchen. As you can see in the photo now, this room needs vibrant atmosphere and shiny colours that will inspire you to cook in easy way. What about an orange bathroom? 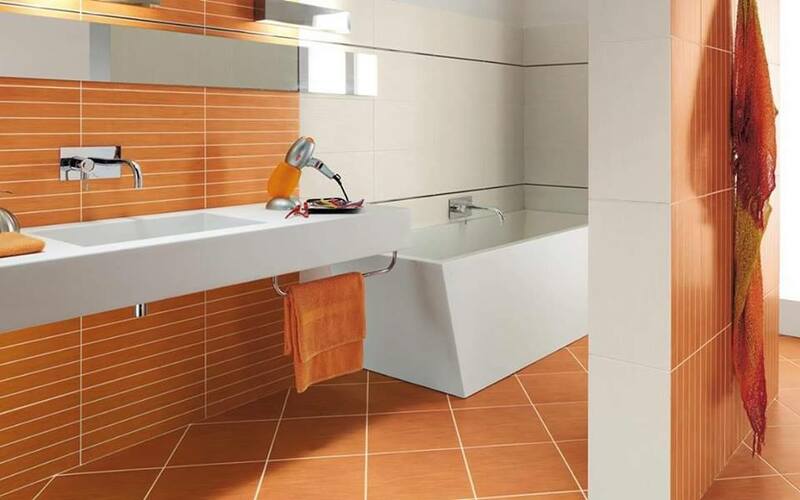 The use of bright tile sin the bathroom walls and floor will give your bath special refreshing look. Be satisfied with the home decor, feel free to use the orange colour for each room and this is my advice for you. 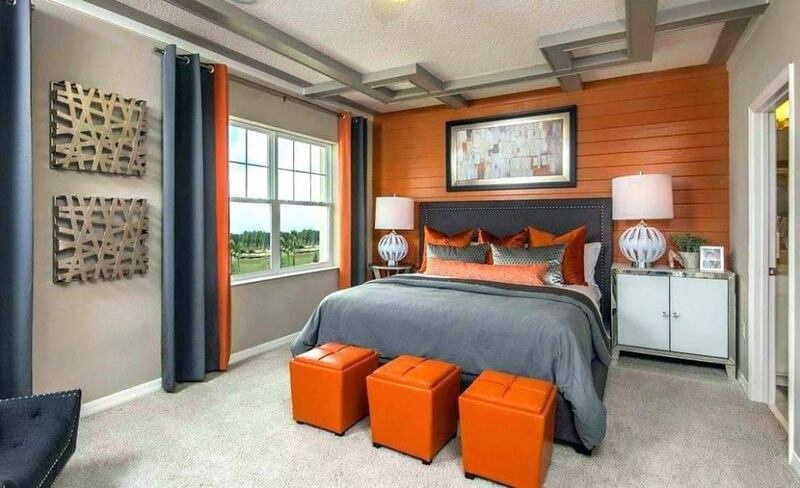 The use of burnt orange in the sleeping room helps you to sleep easily and to enjoy in a nice atmosphere. This can be your favourite, room which design is created with our help and your imagination. Scroll down see the photo and enjoy in the lovely colours, burnt orange and grey are the colours you have to choose. These walls are great choice for each room of the house. This time in the photo you will see how it looks for one modern dining room. With this post we will finish this post. But, our friendship don’t stop here because we will be back with NEW ideas. I hope that this post was enough inspiring for you and you will keep following our website in future for more interesting ideas. Thanks a lot!